Much has been written about the extent to which aligning your brand strategy to your business strategy makes your brand better positioned for success. In short, brand strategy and your brand exist to enable, express, and bring to life the business strategy. Creating a brand strategy often begins with answering the question: “Who are you and what do you do better than any of your competitors?” In a nutshell, what is your value proposition? 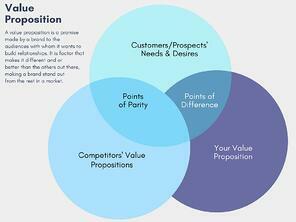 Your value proposition should sum up your company’s differentiators and reinforce the spirit of your brand. A compelling value proposition serves to direct your organization’s marketing, branding and strategy-building efforts in ways that distinguish the business and justify the premiums it desires. Identify customer benefits. Crafting a value proposition begins with a list of all benefits your product/service offers customers and should include substantial reflection on what is unique about your company and your products/services. Identify your target market. Among other objectives, the purpose of this step is to identify the people who will be buying your products and services. In doing so, avoid the common mistake of stating, “our market is everyone.” While your company may be willing to sell to anyone who is willing to buy, it is important to divide potential customers along relevant dimensions such as demographics, buyer behaviors, attitudes, or needs (i.e., segmentation). Equally important is to assess the segments that are most attractive to you and the ones you are best able to serve (i.e., targeting). It is a critical step in the value proposition development process in that it acknowledges not all customers value the same benefits and it forces you to develop an offering that appeals most to your chosen target segment(s). Link benefits to the value offering. You need to excel in at least one component of value; in other words, you may equal a competitor on several dimensions of value, but you must excel in at least one (obviously more is better) to become the best choice for your ideal customer. Furthermore, the value you promise customers must correspond with the value you deliver. 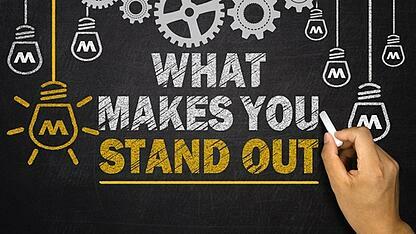 Think compelling, meaningful, and different. After making it clear who your target customer is, what you offer them, and how you are different, compare your potential value propositions with the claims of your major competitors; if any of them can say the same thing about their products or business as you (without blatantly lying), your value proposition isn’t strong enough. A 2012 Deloitte Consulting article A Crisis of the Similar concluded that “consumers believe many product categories are relatively homogeneous.” In other words, the differences between brands are typically not significant enough for any single brand to stand out. What’s more, in the Branding and Value Proposition Primer for 2018, Gartner stresses that the agenda for branding and value proposition development differentiate a company and its offerings in increasingly competitive markets, with a focus on emphasizing points of differentiation and connecting with customers through resonant, powerful shared values. A final and vital component of a value proposition is tangible evidence that it works. Proof requires creating and continually reinforcing “evidence” to ensure customers will derive the benefit and value you’re promising (e.g., case studies, testimonials, interesting points of view, and fact sheets). Proof can be a powerful tool demonstrate why customers should choose you over any other option, justify their investment in using you, and, more importantly, the benefit they’ll derive by solving their problem. Proof can also lead your business into creating powerful, relatable messaging around the value proposition. It is a cycle that makes your value proposition clearer in the eyes of your target customers while continually strengthening the overall impact of your value proposition. When no other meaningful point of difference on which to compete exists, brands become tempted to revert to price cuts and promotions to win new customers from competitors, eroding profit margins and diminishing value and the opportunity to differentiate. The obvious detriment is they’re forced to fight endless price wars because competitors following may bypass selling at cost-of-goods or sell at a loss to build marketing share. As brand strategy consulting professionals, we continually help clients identify meaningful distinctions to reap the benefits of premium pricing, increased market share, greater customer loyalty, and improved profit margins.